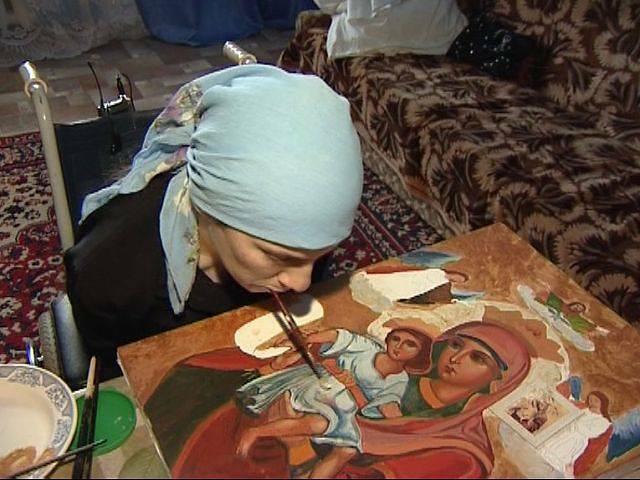 Mothers are the heart and soul of the Orthodox Christian response to persons with disability. On my resource page I have a list of family blogs which include a number of them. A mother is a window into heavenly Jerusalem’s maternal devotion to her children, which the Lord has revealed in Creation in our Mother the Church, Christ’s Bride, and the Mother of God, the Most Holy Theotokos, and every mother made in the image of God, especially the Orthodox Christian ones striving toward likeness to God in word and deed and more importantly in their very being, according to the fullness of the Faith, and their faith. A mother with a son who has autism has a blog on which she shares her story. The page “Words to Get Me Through” contains a number of Holy Scripture portions; she is of the Christian faith, though probably not Orthodox Christian. The main point of sharing this is the personal nature of her story, and the Scriptures show that despite her struggles, she is grounded in faith. May the Lord lead her and her son and her whole family to the springs of living water, and make them springs along the way. On November 6-7, 2009 the Orthodox Christian Association of Medicine, Psychology, and Religion (OCAMPR) is sponsoring a conference on caring for severely challenged patients at the campus of Holy Cross Seminary in Brookline, Massachusetts. The cost for non-members is $100. Student membership is $25, plus $10 for registration. Raphael House provides shelter, care, and support to homeless families in San Francisco, California. Raphael House has provided a broad array of activities and services to address their needs. Trinity Youth Services, in Colton, California, provides housing and opportunities for healing and growth to over 300 emotionally and behaviorally challenged youth. They also train and work with foster parents to provide a more permanent home for these children. The effort was begun in 1966 through the vision of three Orthodox Christian priests from the Los Angeles area. 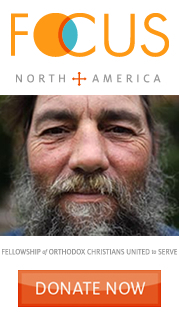 Trinity Youth Services is one of the Partner Ministries of Focus North America http://www.focusnorthamerica.org/ the Fellowship of Orthodox Christians United to Serve. Explore their website; perhaps the Lord will call you to participate or contribute to their work in some way. The WordPress Blog Incendiary published a post a number of years ago entitled Icons for the Blind; from this post we learn that a school in Lipetsk, Russia is constructing an house-church iconostatis designed for blind students. The icons are 3D, in bas relief. This follows a program initiative for the spiritual nourishment of the blind, directed by icon carver Roman Baturin. About two years ago [sic] the successful artist rejected earthly goods and began to lead an ascetic type of life. Having left his prestigious work, he returned to Nizhny Novgorod and began to carve 3D icons on wood for the blind. At the beginning of 2006, an icon workshop was opened in Nizhny Novgorod for the creation of relief icons for blind people.